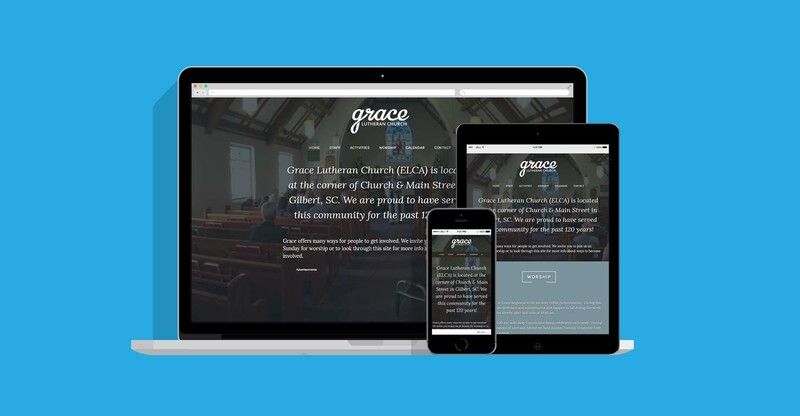 Grace Lutheran Church (Gilbert, SC) had an existing website, but had neglected to update it over the years. We were able to help give their site a face-lift and refresh their outdated identity. Their online presence went from drab and mono-tone to a full-screen, image based homepage with responsive layouts. We offer website design and marketing support to church congregations and small businesses. Contact us today to see how we can help!